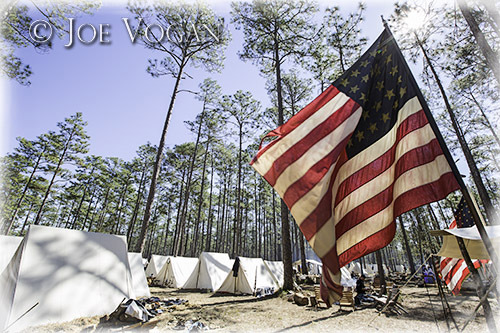 The Battle of Olustee was the largest fight of the Civil War that took place in Florida. 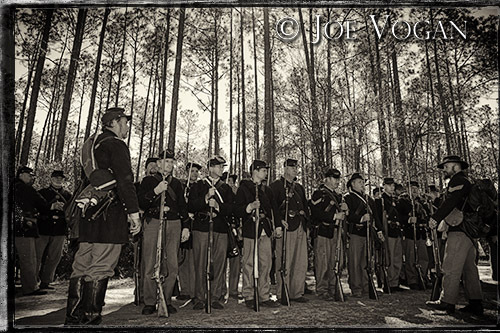 About 10,000 soldiers met on February 20, 1864 in the swamp north Florida spot near Lake City. 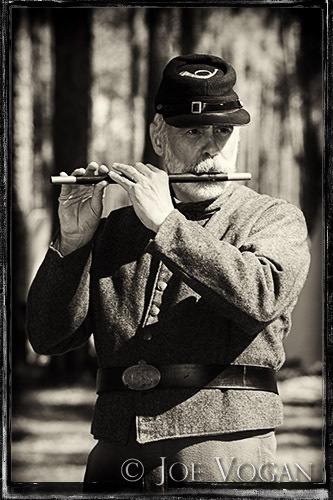 And every year there is a reenactment that attracts a good number of hobbyists that represent the Union and Confederate armies. I’ve photographed the event several times since it’s unique to the area and the participants do a very good job at trying to maintain authenticity. 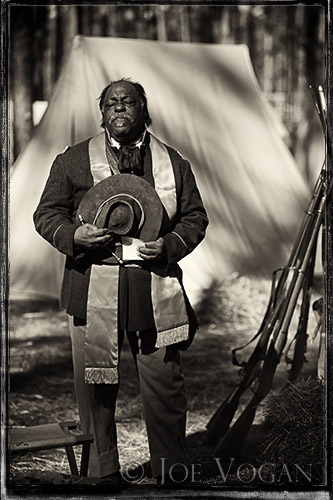 This year, being the 150th anniversary, was no different. The event takes place over a weekend closest to the 20th, and inevitably it’s often one of the coldest of the winter. So if arriving early to visit the camps, the soldiers, and often their families, are usually warming up and eating breakfast by their camp fires. There are separate camps for the two sides, and with the Florida location, the Rebels usually have the larger numbers. An interesting part of this battle was the involvement of the 54th Massachusetts Volunteer Infantry made more famous by the movie “Glory”. 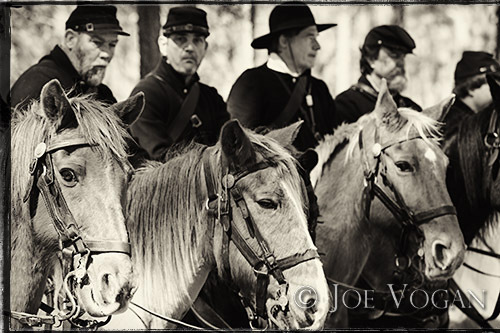 A small group of re-enactors represent that squad each year as well. 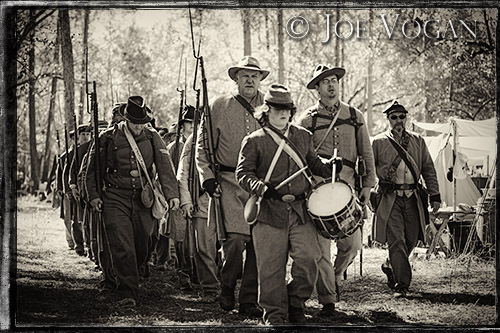 This entry was posted in Day Trips, Florida and tagged Civil War, Confederate, event, Florida, history, Olustee, photgraphy, reenactment, soldiers, Union by Joe Vogan. Bookmark the permalink.